SCVHistory.com LW2533 | Law Enforcement | Sherman Block, L.A. County Sheriff 1982-1998. Los Angeles County Sheriff Sherman Block, probably 1994. 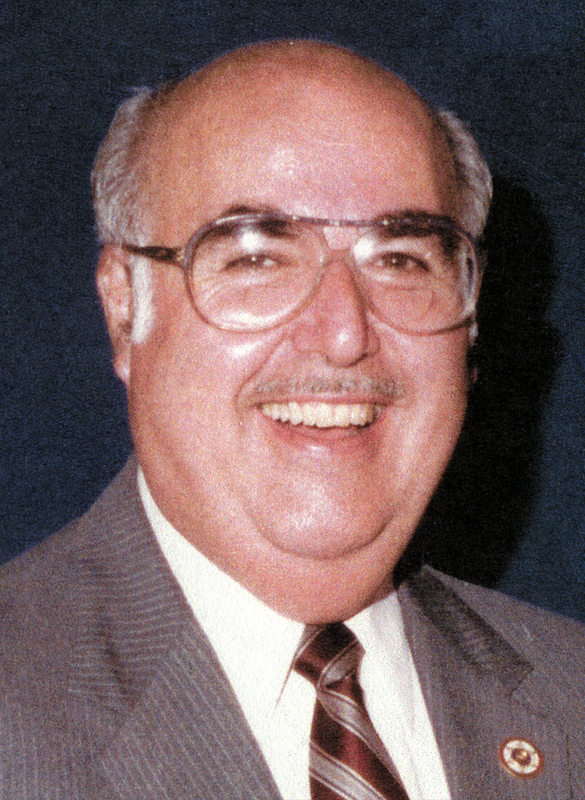 Sherman Block (July 19, 1924 – October 29, 1998) was Los Angeles County's 29th sheriff. 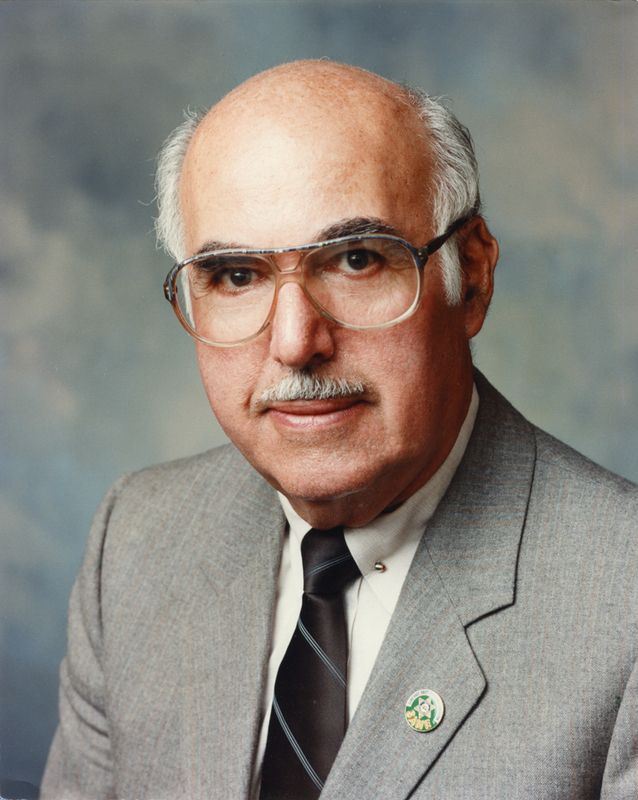 Appointed by the Board of Supervisors on January 18, 1982, to succeed Sheriff Peter J. Pitchess, who resigned after serving just over 21 years, Block would hold the job for nearly 16 years. While running for a fifth full term in 1998, Block, a cancer survivor who was undergoing kidney dialysis, died at USC University Hospital from a cerebral hemorrhage after suffering a fall at home. Just days before the election, it was too late to remove his name from the ballot. The late sheriff garnered 38.7 percent of the vote (703,178) while his former subordinate, challenger Leroy D. Baca, captured the other 61.3 percent (1,112,166 votes). Both were/are registered Republicans, although the office itself is nonpartisan. A Block victory would have opened the office to an appoinment by the L.A. County Board of Supervisors, which was not supportive of Baca. At one time, Block was the highest paid elected official in the United States, earning $234,000 annually while the U.S. president's salary was $200,000. Former Los Angeles County Sheriff Sherman Block was born in Chicago, lllinois, where he attended grade school and high school. During World War II, he served three and one-half years in the United States Army with duties under General George S. Patton Jr. in Europe and, when Germany surrendered, he was sent to the Pacific Region to train for the invasion of Japan. Former Sheriff Block was an Honors Graduate of California State University at Los Angeles, where he received his Bachelor of Science Degree in Police Science and Administration and was elected to Phi Kappa Phi Honor Society. He took graduate work in the field of Public Administration at the University of Southern California. He was also a graduate of the National Executive Institute at the F.B.I. Academy, Quantico, Virginia, and served on the faculties of several local colleges and universities. On May 1, 1956, former Sheriff Block entered the Sheriff's Department as a Deputy Sheriff Recruit. In January 1960, he was promoted to the rank of Sergeant, and for the next 15 years moved up through the ranks to Undersheriff in 1975. On January 18, 1982, he was sworn in as Los Angeles County's 29th Sheriff, having been appointed by unanimous action of the Los Angeles County Board of Supervisors, and he became the first deputy to come up through each successive rank to reach the office of Sheriff. In June, 1982, he was elected Sheriff. Former Sheriff Block passed away near the end of his fourth elected term of office, while commanding the largest Sheriff's Department in the world and supervising more than 12,000 personnel. Nationally recognized as an innovative law enforcement leader, former Sheriff Block was recognized for many innovative anti-crime initiatives since becaming Sheriff in 1982. He developed a strategic law enforcement vision for the Los Angeles County Sheriff's Department reaching well into the new century. Under former Sheriff Block's leadership, the Los Angeles County Sheriff's Department has developed a major Citizen Volunteer Program, the Sheriff's Youth Foundation, and the SANE (Substance Abuse Narcotics Education) Program to deter our young people from drug abuse and gang affiliations. His youth programs have impacted thousands of young people each year. Other progressive programs launched by former Sheriff Block include the high impact COPS Program, a nationally recognized community policing program that he launched in 1996 to regain control of neighborhoods, bring about positive change, and build community partnerships; and the Critical Issues Task Force, targeting five key issues affecting law enforcement hate crimes, drugs, gangs, family violence, and sexual predators. He also initiated a Risk Management Program that has saved the taxpayers millions of dollars in litigation costs. In addition, former Sheriff Block led the Department in introducing a Gang Assessment and Management System, a program aimed at gang reduction, the Mental Evaluation Team, pairing psychiatric personnel with deputies to respond to calls and provide alternatives to incarceration of mentally ill people, and an award-winning Recruit and Recurrent Training Program. During Block's tenure as Sheriff, the Department opened the Twin Towers Correctional Facility, 12 new Sheriff's stations and substations, and four youth and community centers. Diversity within the Department was another major goal. Under former Sheriff Block's direction, the makeup of the Sheriff's Department at all ranks was shaped to more closely mirror the population of Los Angeles County. Former Sheriff Block was the recipient of numerous honors and awards from a wide variety of community and professional organizations, including an honorary Doctor of Laws Degree from Pepperdine University. In 1993, former Sheriff Block received the Penrith Award as the outstanding law enforcement administrator in the nation. This selection was made by approximately 500 police chiefs and sheriffs who aregraduates of the F.B.l. 's National Executive Institute. In May 1996, former Sheriff Block received the State's highest civilian award, the Order of California, which was presented by Major General Tandy Bozeman, the commanding officer of the National Guard. The same year, the Commission for Peace Officer Standards and Training selected former Sheriff Block as recipient of the Governor's Award for Excellence in Peace Officer Training in the Lifetime Achievement category. Former Sheriff Block also received the Webber Seavey Award from the International Association of Police Chiefs and the Motorola Corporation in 1996. The award is the highest honor presented to law enforcement agencies worldwide for innovative programs, and marked the first time that a California law enforcement agency was selected. The Sheriff's Department was honored for "Operation Outreach," a joint effort with the City of West Hollywood designed to reduce transient-related crime in the city. In addition to these specific awards, former Sheriff Block was also the recipient of significant accolades and honors from civic organizations representing diverse cultures ranging from the Chinese-American Community to the Latino Peace Officers Association and the Black Peace Officers Association. On November 1st, 1998, Sheriff Block was laid to rest following a memorial service at the Hollywood Bowl, which was attended by many members of the Department, members of the Community and hundreds of Public Officials. He will be fondly remembered as a source of strength and leadership in professional law enforcement. LW2533: 19200 dpi jpeg from original 8x10 print.